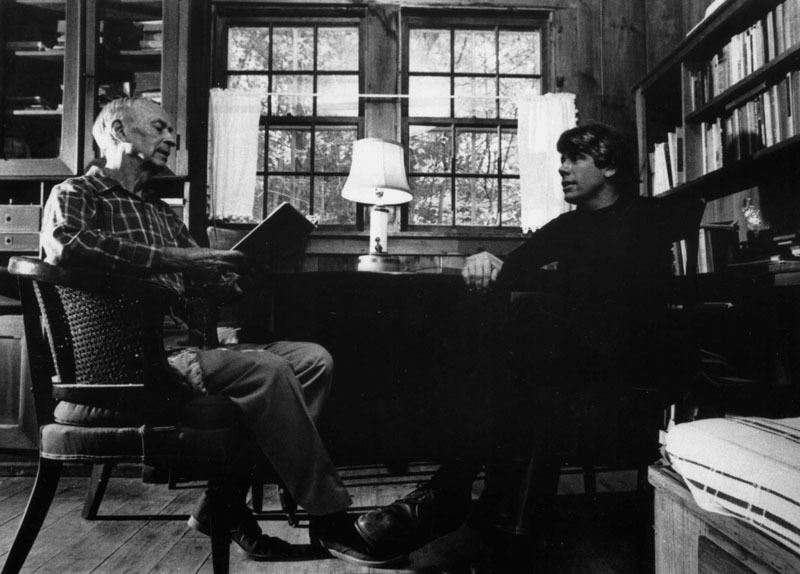 Poet Robert Francis is interviewed by NPR's Poems to a Listener host and producer Henry Lyman, at Fort Juniper, Francis' home in Amherst. Rights not held by the Jones Library. All rights held by Frank Faulkner. Faulkner, Frank, “Robert Francis with Henry Lyman, Poems to a Listener host,” Digital Amherst, accessed April 23, 2019, http://www.digitalamherst.org/items/show/81.